Margaret Wiggins, owner of Margaret’s Garden 3D Etched Photography, transforms full color pictures into high contrast images burned into wood. Margaret wanted to share her love of gardening and photography in a way that will last for years to come, at a reasonable price. Her inspiration to take this journey was from encouragement and support from her family. These original pieces of art work are Margaret’s photographs taken in her yard and garden in Oakland County, Michigan. 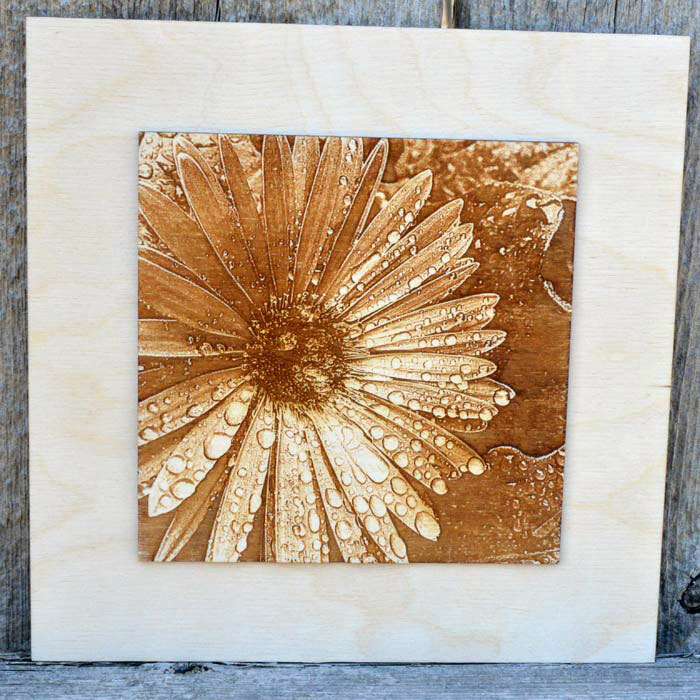 The flower, fruit and vegetable photo’s are then laser etched into Birch for a 3D effect. The wood art is produced in Harbor Springs, Michigan by Ashley Wiggins, Margaret’s niece. Margaret hopes you enjoy your piece of Artwork as much as they enjoyed making it. Buy Margaret’s Garden 3D Garden Art here.